A sample from Book 5 of the kRaveings books. Bad Blood! Hello, again gang! 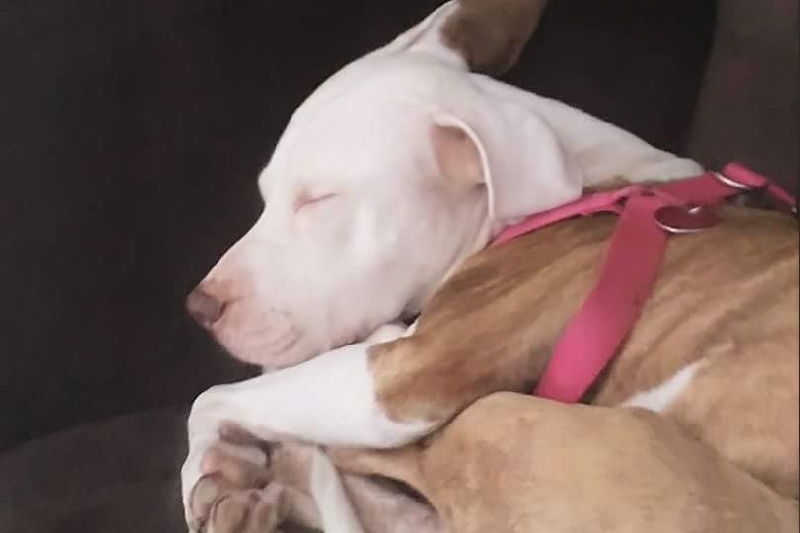 It’s been a busy week for me (look below for that reason) but I’m doing well. October is here! 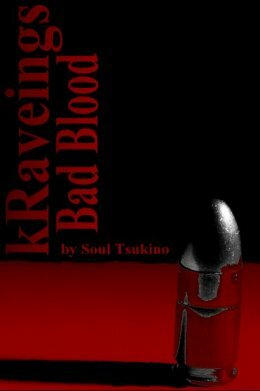 So this week I have a look at the next of my kRaveings books, Bad Blood. The look for the killer of Missy Horgenstern comes to its conclusion. kRaven finds out who is behind this mess as his night just becomes more fun. Things end in a night to remember for kRaven, Mirakoshi, and Evo as well. Read the adventure in kRaveings: Bad Blood! kRaven looked up to the ceiling. His head was ringing and it took him a few moments to clear his head and realize he was on the floor. His back ached where he had hit and he felt a sharp pain in his elbow. The shockwave had been sudden and the blast had been numbingly loud. It wasn’t so much the blast itself that had knocked him off his feet but the buildings shaking that had taken him and everyone else in the building to the floor. There was dust in the air and he remembered hearing the shattering of glass, but the police headquarters still stood. He could see police officers around him getting to their feet around him. The windows were shattered and there were pictures knocked off the walls. A few officers had cuts and gashes from the glass. He got to his feet and looked to the damage. “What the hell was that?” one of the officers asked out loud. kRaven looked around, helping the officer closest to him up to her feet. “It was a bomb! Someone set off a car bomb,” an officer yelled looking out what used to be a window. Several officers and kRaven ran to the front side of the offices and looked out. It was far worse than what kRaven had feared. On one side of the street was a massive crater in the pavement with several burning cars surrounding broken and twisted hunks of metal. Glass and bricks lay in the street from the old buildings but the one closest to the explosion was the worst of the area. More than half of the front of the building was gone and it had partially collapsed. There were sounds of screams and far off car alarms and people began to come out of the other buildings. It didn’t take more than a few seconds before kRaven and several of the officers started rushing out of the building to help. Even kRaven knew with the building collapse there were people in there and probably hurt very badly. It was nearly 2:30 in the morning so most of those people would have been sleeping in bed, not like they’d have a lot of time to react anyway.
. kRaven leaped into action, jumping from the window frame and heading for one of the piles of rubble that was once a standing building. He cyber tendrils rapidly expanded and connecting with different parts of the destruction around him. In his mind, he was mapping out what he could. The most important thing he could see though were moving electricity of the human nervous system. “We have survivors!” He yelled loudly as other officers heard and followed him. His cyberlocks were flying everywhere as kRaven began digging with his bare hands along with using his nanite power to break down some of the other rubble to dust. Some of the officers began to dig around him in the piles of bricks and wood. While kRaven could use his powers, the darkness of the morning was hampering everyone else. He heard the police around him yelling for lights and medics and flashlights but kRaven didn’t care as he scanned the pile with his connections. It wasn’t long before the sirens of rescuers and the fire department were growing as help got closer. He just dug and moved bricks out of the way before he arrived at the first victim. He pushed more bricks out of the way before a moving hand greeted him. “Hold on,” He said whether this man could hear him at the moment or not. He pushed more bricks out of the way and ahead, bleeding severely, popped up with a gasp and a cough. The man only nodded as kRaven kept digging him out of the rubble. After a frantic effort, the man was able to move more and weakly lift himself up. kRaven put his arm around the person in support. kRaven turned around and saw a few other officers also holding on to victims as other officers who had medical training ran over to help. Just then the area lit up as The Star had taken flight and lit up the area around the blast. A paramedic ran over and supported the man from kRaven’s arms. “It’ll be alright sir,” he said. kRaven said nothing as he let the man go into waiting help. With more light over the scene, kRaven got a better picture of the destruction. He could see many of the officers digging and checking the surrounding buildings to get people to safety. People dressed in civilian clothes were also chipping in as well. As kRaven was trying to mentally catch up with what was going on, the kabuki-faced translucent frame of Mirakoshi appeared beside him. kRaven said nothing as he looked around. His cyber tendrils connected to several points of the broken street in front of him. He could see five more people in the immediate area. The officers looked up and rushed over according to kRaven’s directions. kRaven and Mirakoshi rushed around searching for survivors, even if they had little chance of living much longer. The scene slowly went from utter chaos to a small sense of control as more help from surrounding areas arrived. Both the dead and survivors were being pulled from the ruins of the older brick building as fast as people could find them. kRaven kept a constant scan of the rubble and made sure each of the people he found was pulled from the rubble. When he could find no more living heartbeats, he pulled back, covered in dust and sweat, he wiped his brow. “Thanks, man,” one of the officers next to him complimented. They both entered the building as there weren’t many people left inside. A few officers were being treated by medics and a few victims were being looked over by paramedics. kRaven didn’t see Police Chief Donnally running around so he must have been outside. He looked around before finding the office’s storeroom. He began to look for something to cover his eyes. “You wish to go after these Erasers?” the ghost asked referring to the group they had encountered earlier in the night that had tried to kill kRaven. Mirakoshi nodded. Although they had only encountered them firsthand earlier in the night when they were ambushed in a bar that would have ended kRaven’s lift if not for his special abilities. After possessing the expired vassal of one of the members, his head was swimming of details of their operation and what kinds of things they were capable of. “I have the location of their operation here in the city,” The ghost replied. “I hoped you would say that,” kRaven said as he seemed to find what he was looking for. kRaven looked up with a raised eyebrow over one of his otherworldly static filled eyes. The ghost’s voice trailed off. Both turned to see the shorter stature of Evo standing in the storage room doorway with her large laser rifle slung over her shoulder. “You want in on all this?” kRaven asked. Her flailing blue streaked hair and very stern order made her intention very clear to both before her. kRaven wasn’t sure if he was supposed to feel complimented or not. He motioned with his head as he lead the way out of the supply closet and the way down the hallway of the building out to the back door. Off to the side of the doorway was a small lot of unimpressive looking cars usually held for stakeouts and undercover road offenses in the city. kRaven and Evo quietly walked down the metal stairs with Mirakoshi floating just behind them. kRaven looked around, seeing a white family car that looked like crap. “This will do,” he whispered to himself. Just then a bright light beamed down right on him, making him and Evo react with a jump. kRaven looked up to see the hulking figure of The Star float down near them. “What? I was going to bring it back. We’ve got things to do,” kRaven complained. The Star heaved his massive shoulders. And for what I have been working on, It’s coming out Halloween! 3 of a Kind! A New kRaveings book coming Halloween! from Soul Tsukino on Vimeo. 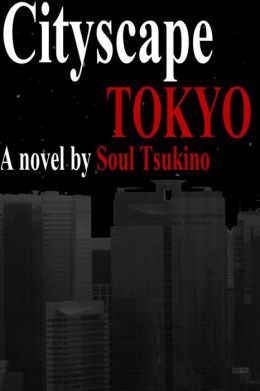 Posted by soultsukino on October 1, 2018 in Contributors, Soul Tsukino and tagged Bad Blood, Damn Write!, Ebook, kRaveings, Soul Tsukino, Stuff I write.